Disappearance is more Yuki's movie than it is Haruhi's. 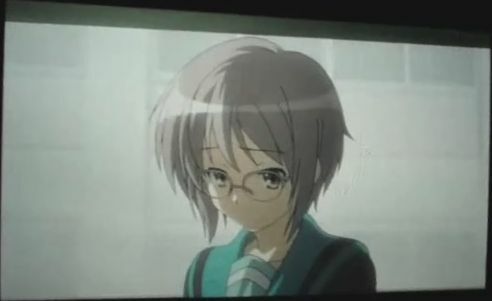 This apostle of Haruhi fell victim to temptation and watched the horrible cam rip of Suzumiya Haruhi no Shoushitsu. The camrip is strictly amateurish, and of such poor quality the best thing I can say about it is it must be a labor of love. I guess it's still better than the Rebuild of Evangelion 2.0 camrip which I had to close after 10 seconds for being almost literally unwatchable. This is about as good as the quality gets. As for the movie itself, it's stunning. The comparison is apples to oranges, but I liked it better than both Summer Wars and Rebuild of Evangelion 1.11. 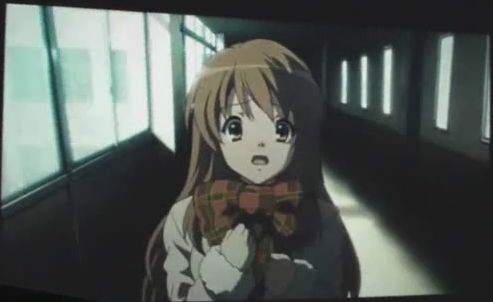 Despite its focus on drama instead of comedy, The Disappearance of Haruhi Suzumiya is heavy on the factors that made the original series so good. Seriously, can I pre-order a Blu-ray yet? This is terrible. Kyon is going to be so sore in the morning. 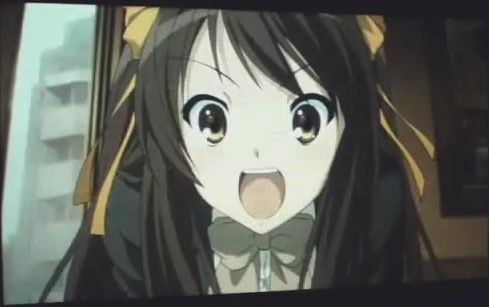 Speaking of The Sighs of Haruhi Suzumiya, the second season broadcasts do matter. Specifically, the tanabata episode and "Endless Eight" matter. 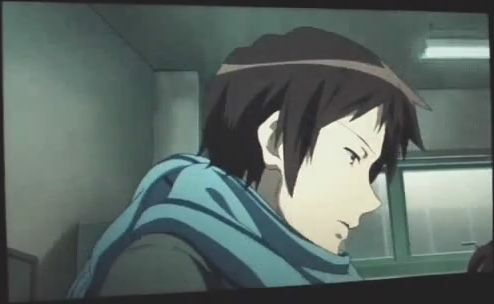 Without delving further into spoiler territory, the viewer will appreciate a critical aspect of The Disappearance of Haruhi Suzumiya more if he suffered through all of "Endless Eight." Don't worry, it also works if you actually enjoyed "Endless Eight," as I did.